As asparagus floods the farmers markets, Spring is quickly turning into summer. This seasonal vegetable along with arugula, are often a few of the first signs of warmer weather yet to come. Now, with the abundance of fresh summer produce within reach, it’s time to end Asparagus season with a bang. 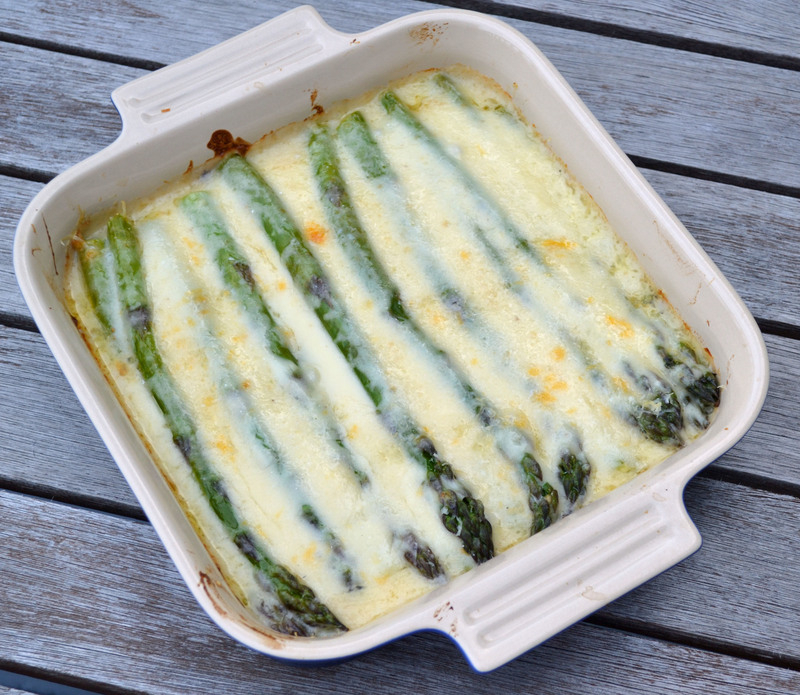 Asparagus au Gratin is a rich decadent dish that sounds a little fancier than it really is. Think cheesy asparagus…or better yet: Mac & Cheese (minus the Mac). Cook asparagus in a large pot of boiling, salted water until just barely tender. Strain and set aside. In a saucepan, melt the butter, add the flour and stir with a wire whisk until well blended. Meanwhile bring the chicken broth and cream to a boil and add all at once to a butter-flour mixture, stirring vigorously with the whisk until the sauce is thickened and smooth. Add the cheeses, salt and pepper, and stir until cheeses melt. Place alternate layers of sauce and asparagus in a buttered casserole, ending with a layer of sauce. Sprinkle with additional Parmesan cheese and brown quickly under a preheated boiler or bake in preheated oven at 450 degrees for 5 minutes. Adapted from “The New York Times Cookbook,” by Craig Claiborne.